I just love the Tim Holtz China Blue distress ink, and it’s used to great effect, to my mind, in this card. 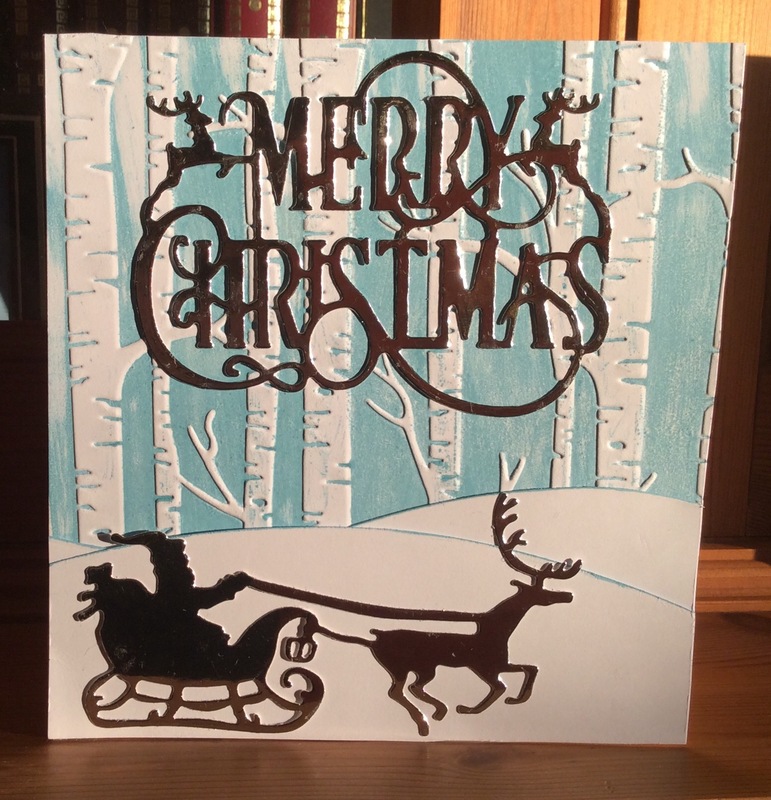 I used die cuts for the message, hills and Santas sleigh. Now the question is, do I love this card too much to give it away?!?! Beautiful card, Denise. I can see why you might want to keep it for you. I’ve got some I feel that way about, too.